We recently discovered ZEEMUFFIN's photo series called NYZEE. Check out how she highlights Chinatown, NYC. Great job, ZEEMUFFIN! We look forward to seeing more of your work! Have you seen Keanu Reeves walking around on the streets of Chinatown with blood on his face? If so, it's because he is filming the sequel to John Wick! Make sure you get a chance to say hi to him! Photo by DailyMail. We stumbled upon this website of Old NYC photos from a friend and wanted to share a few of Chinatown! Meet York Kue Chan. He was the 58th President of the Chinese Consolidated Benevolent Association (CCBA) in NYC where he served the 2004 - 2006 term. 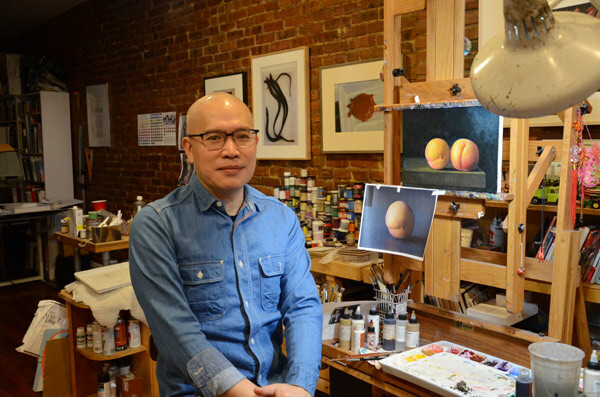 Kam Mak, Assistant Chair of the Illustration Department at the Fashion Institute of Technology, has been working on the Lunar New Year USPS Stamps Series since 2006. This year for The Year of the Ram, the stamp features an image of cheun hop, the tray of togetherness.